We are having a massive clearance offer on our bulk cartons of Tekken 6 IC Cards. You can purchase a carton (100 x Tekken 6 IC Cards) at a very special below cost price. The Tekken 6 Player IC card from Namco is used for saving your player information whilst playing Tekken 6 machine along with many other exclusive features only available to the card. We teased you earlier with the news that giveaways on Facebook were starting soon and now the time has come.The Highway Entertainment Weekly Giveaway started yesterday with your chance to win Factory Original fighting game posters! 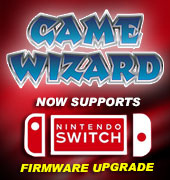 For a limited time only Highway Entertainment is offering an upgrade kit package to upgrade Maximum Tune 3 SD machines to the latest version, 3DX Plus. This package includes one 3DX upgrade kit and one 3DX Plus kit. We are now taking orders for Namco's latest driving machine release, Wangan Midnight Maximum Tune 3 DX Plus. Production of the upgrade kits is strictly limited and orders are being filled on a first come first served basis for March 2010 delivery. Maximum Tune 3 DX upgrade kits are in production now. The update adds 4 new cars, including the Mitsubishi Lancer Evolution X and the Subaru Impreza WRX STI, and a new course - the Nagoya High speed ring. We have very limited stock of Tekken 6 Full machines and Kits for sale. Tekken 6 is guaranteed to provide excellent income, and has been in short supply recently. Machines are suitable for 2 players and include a 2 player control panel, 2 card readers, and a 32 inch LCD monitor. Both new and used machines are available. Upgrade your Wangan Midnight Maximum Tune Version 1 machines into Version 2. Wangan Midnight Maximum Tune 2 offers 80 episodes in which players can test their racing skills. The "Story Mode" has 40 episodes, in addition there are four series each containing ten episodes focused on specific characters. With any purchase of a Cyberlead cabinet (with or without game), we will include for free 2x Sanwa joysticks together with 12 push buttons. Cyberlead cabinets are feature packed, compact 29 inch sit down cabinets manufactured by Namco Japan. Currently we have a wide selection of Cyber Lead sit down arcade cabinets in stock including empty cabinets and cabinets with game boards. Cyber Lead are feature packed, compact 29 inch sit down cabinets manufactured by Namco and equipped with a deluxe 15K/24K dual resolution monitor. Upgrade your Time Crisis 2 Twin machines with our upgrade kit or build new machines. 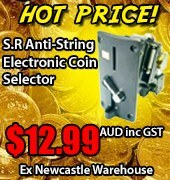 Kits are available for immediate shipment ex our warehouse Newcastle Australia. Thank you to all our customers who preordered their Time Crisis III and Warzaid machines as this stock has now been received and released. These machines were from the first production run and we are now taking orders for the 2nd production. New shipment of Time Crisis III SD machines will be available for shipment in approximately 2-3 weeks. Full OEM factory kits will be available this coming week. These kits include all major parts and accessories to convert your older cabinets into Crisis Zone or Biohazard - Code Veronica. Namco's latest fighting game in now available for shipment. Featuring the latest DVD graphics and game play, kits are available @$2,295usd. New Tekken 4 kits are back in stock. Goods come with marquee, player instructions, cables, DVD and main board. All 100% new and English version.